I kicked off the off season last Friday by looking at what I thought were the Packers top 5 offseason needs here. Over the next 5 weeks we’ll go in order from least important to most crucial, starting today by taking a look at the continuing need for OLBs in this 3-4 defense. I would argue that Clay Matthews took the throne of “face of the defense” from Charles Woodson in the 2010 season. It was the year after Wood’s DPOY season and Clay got robbed of DPOY by Troy Polamalu, finishing second. Never in the time since Matthews’ arrival have the Packers truly been able to find him a running mate. There have been many attempts at converting defensive ends. The jury is still out on Nick Perry, it’s very realistic he could become a good player. The Packers have failed elsewhere. Erik Walden, Frank Zombo, and even Aaron Kampman were players that struggled in space in large part due to their experience playing on the defensive line. Mike Neal actually played defensive tackle in college and continued to lose weight to try and fit in Caper’s system. Just because I’ve been calling for a true outside linebacker doesn’t mean that the conversions can’t ever work. The obvious name that everyone is talking about is Michael Sam. Whether or not the Packers are going to continue to convert defensive ends or invest in more true OLBs, the position needs to be addressed, if for nothing else but to provide the depth required when your starters are talented first round picks like Clay Matthews and Nick Perry that struggle to stay healthy. Internal options: In a perfect world, the Packers are set at the position. They have, when healthy, the league’s premier 3-4 OLB in Clay Matthews. They have a talented and freakishly strong player across from him in Nick Perry. The problem is that the team really struggles to find quality depth. Mike Neal played OK, but did not acquit himself at all when he was without Perry or Matthews to take heat off of him. Neal may or may not be re-signed. Projects Andy Mulumba and Nate Palmer are just that, projects. Free agents: Brian Orakpo is the obvious name here. He was the top rated OLB the year that Clay Matthews was available in the draft (2009). He has played very well but due to the sucecss of Ryan Kerrigan and his own durability issues it’s possible that Orakpo may be available. Former PackersTalk.com writer Cory Jennerjohn takes a look at that here. I find Orakpo to be a bit of a pipe dream, but I sure wouldn’t mind the Packers taking a swing at established 3-4 OLB talents like Shaun Philips or Anthony Spencer. Draft targets: The team, and more specifically the defense has too many holes for the Packers to address the OLB position in round one. So if you had dreams of Khalil Mack, Anthony Barr or Dee Ford, I really don’t see that happening. Where I think you could see the Packers take a chance is with their round 2, round 3, or round 3 compensatory pick (that i think is coming for Greg Jennings). 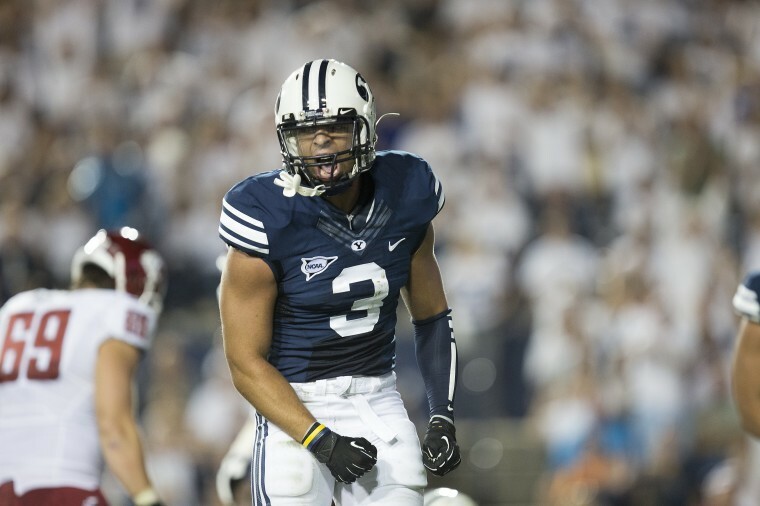 Guys in that general might be Kyle Van Noy (my personal favorite), Trevor Reilly, Jeremiah Attouchu. Players in that area that are listed at defensive end that they might consider converting would be the aforementioned Sam, Trent Muprhy, Jackson Jeffcoat (a favorite of mine) or Marcus Smith of Louisville. This entry was posted in Uncategorized and tagged Anthony Barr, Anthony Spencer, Brian Orakpo, Dee Ford, Nate Palmer, Off Season, OLB. Bookmark the permalink.